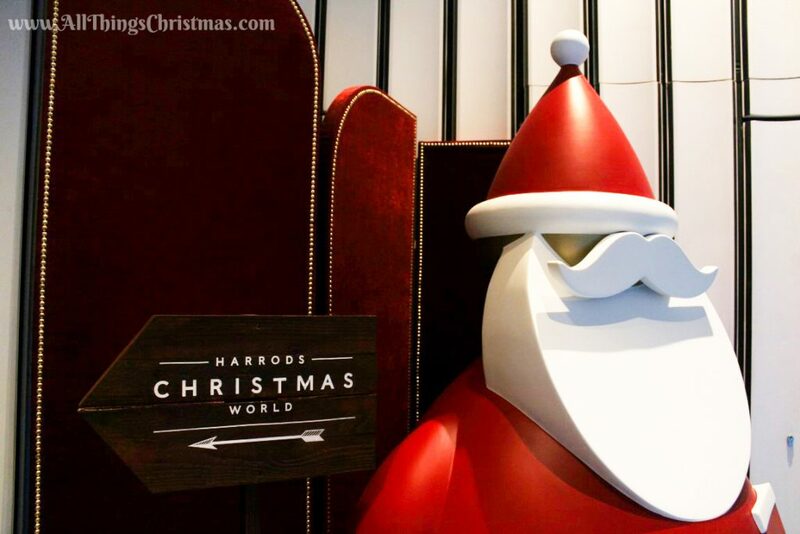 When it comes to Christmas in London, the department stores go all out, especially Harrods Christmas World. 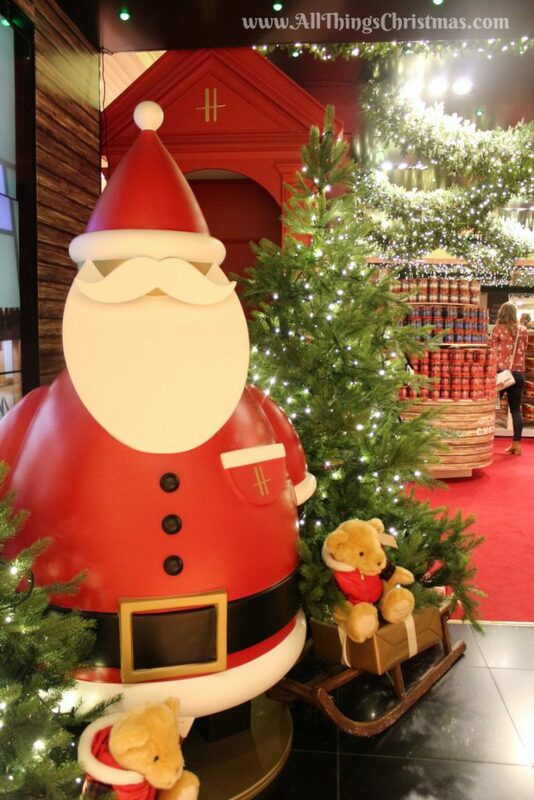 Launched in early September every year, it might not be the first (that honour goes to Selfridges Christmas Shop). 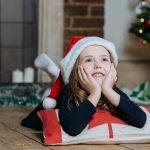 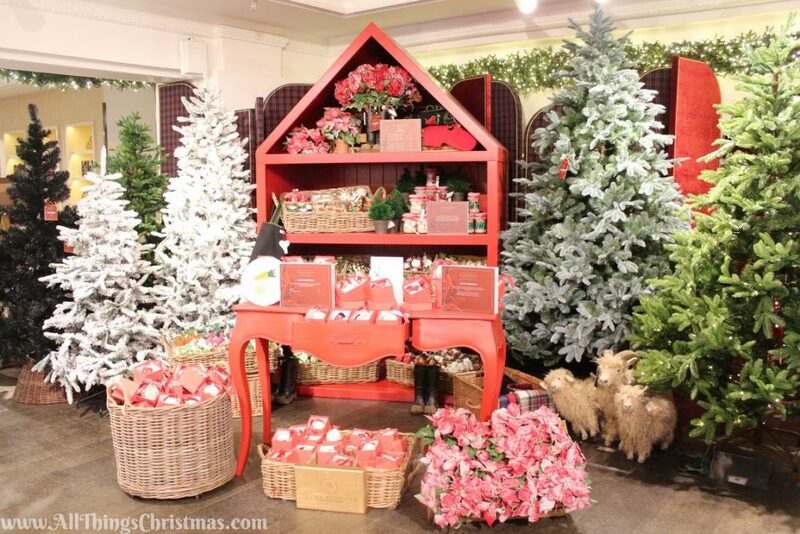 Multiple Rooms decorated for the Holidays, lots of beautiful Christmas Trees, and dozens and dozens of Harrods-themed ornaments to choose from, it is by far our favourite Christmas Shop in London. 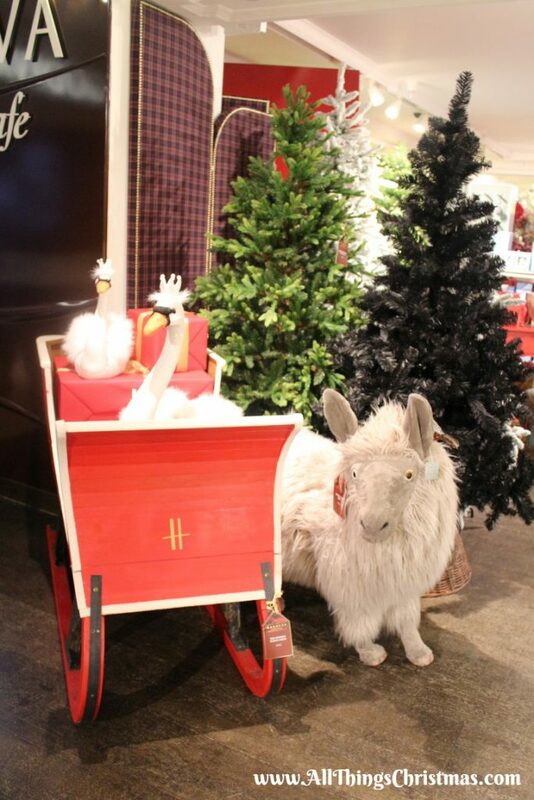 If you’re not familiar with the Luxury department store ‘Harrods’, I’d be surprised. 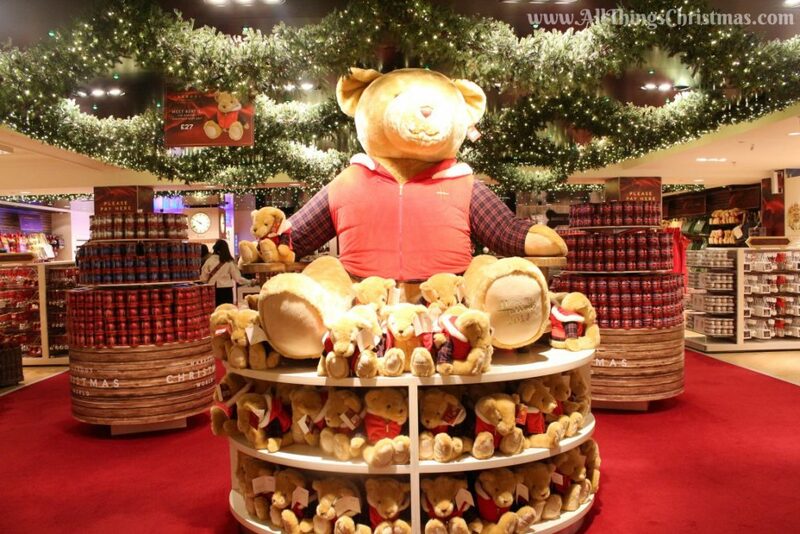 It touts itself as ‘The world’s most famous store’. 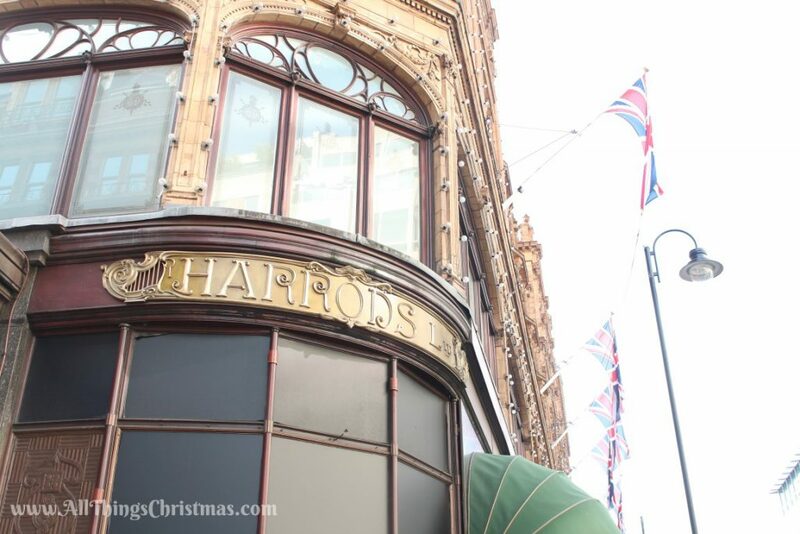 Located in Central London, it has over a million square feet of retail space. 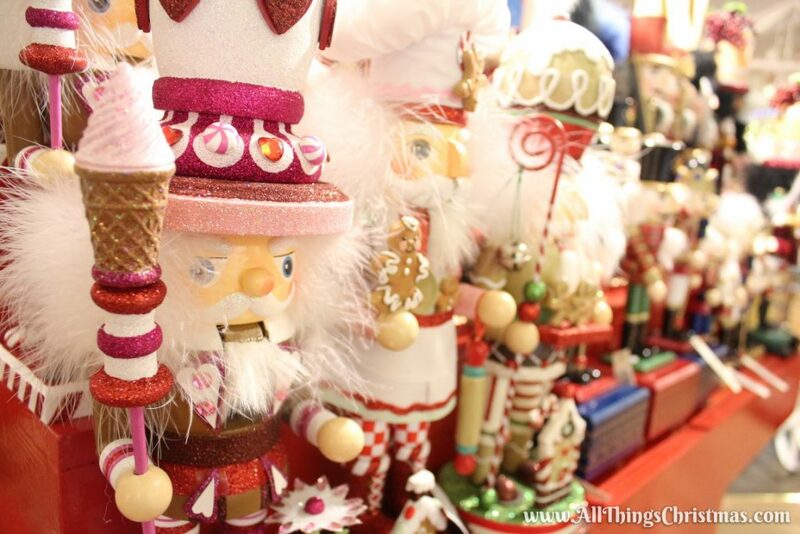 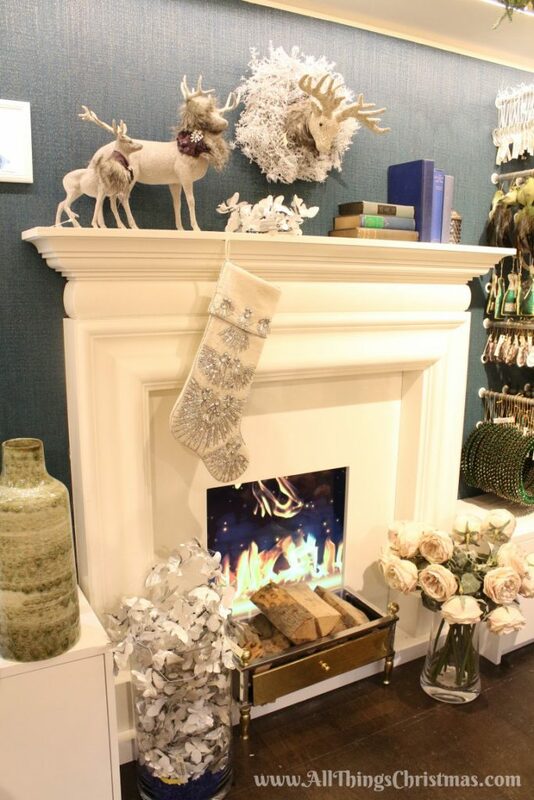 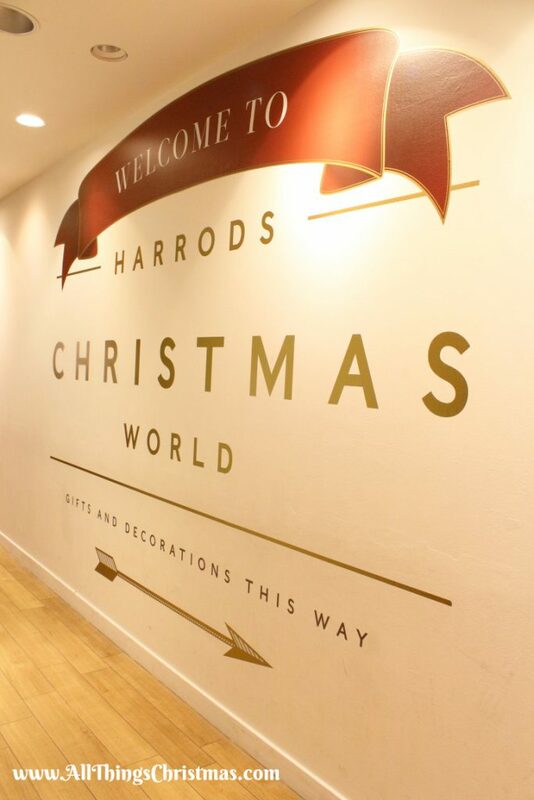 But today we’ll cover just a small portion of that located on the 2nd floor, Harrods Christmas World. 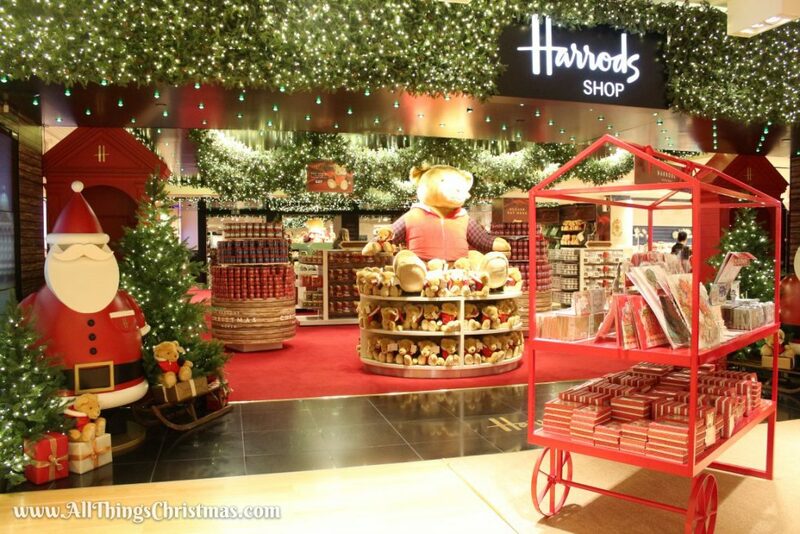 There are two major sections of Harrods Christmas World, and if you arrive via the Lifts (elevators) you’ll be closer to the main Harrods-themed section, if you arrive on the second floor via the escalators, you’ll go through the luxury decorations department first. 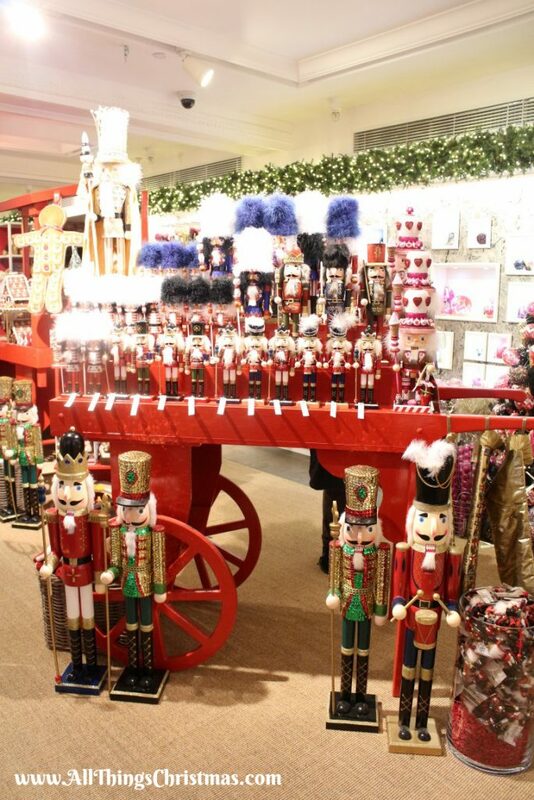 We will start with the Main section, as it has the best decorations and ornaments (in my opinion). I was lucky enough to arrive first thing in the morning, in September. 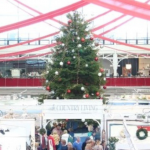 Make no mistake, by November this entire floor will be packed with shoppers. 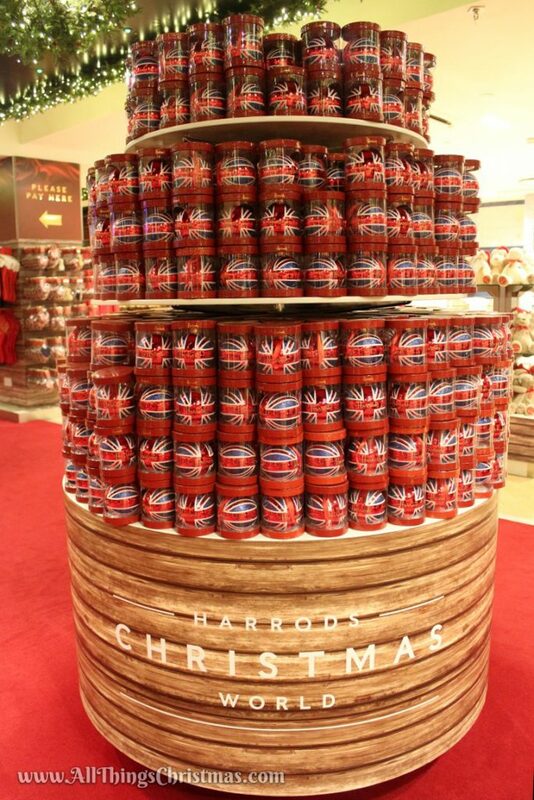 The Harrods Bear Display and two wonderful towers of Harrods/Union Flag Ornaments (I have one from 2015!) 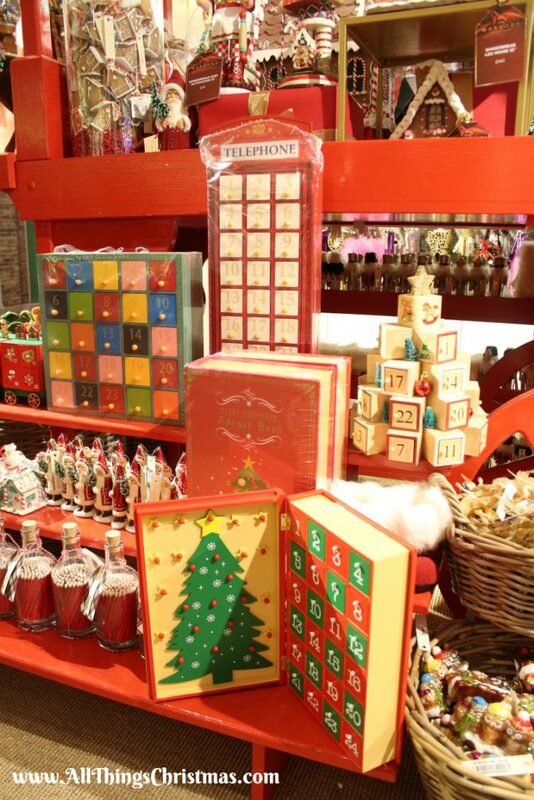 are the central display of this section.